The 19th Kerry Film Festival will run from 17th - 21st October 2018 screening short and feature films from around the world along with national and regional short film programmes. The festival will also host industry and networking events along with the annual awards ceremony. Short film programmes are a vital part of the Kerry Film Festival programme and the festival will screen selected world premieres alongside new programme categories, music video and advertising. The shorts programme features significant acting talents including Luke Norris, Jessie Buckley, David Gyasi and Dominic West while the European premiere of short film, Herostarring Charles Dance and directed by Freddie Fox will screen as a featured short. In the Children Through the Lensshorts programme, powerful performances from young children feature inMisplaced, a true story about two half Chinese children and their Irish mother abandoned in rural 1980’s Ireland and award winning film, Detainment,a true story based on interview transcripts and records from the James Bulger case which shocked the world in 1993. Other festival highlights include, the Irish premiere screening of Melody Makers,from director Leslie Ann Coles telling the true story of the rise and fall of the most influential music publication in history, Melody Makermagazine. The Irish premiere of Mad Hannans directed by Martin Shore is a film about brothers and musicians Jerry and Seán Hannan, chronicling their rise, fall, and ultimate reconciliation. A live performance with Jerry Hannan and band in J.M Reidy’s, Killarney will follow the screening. Irish feature film, Metal Heart,starring Jordanne Jones and Moe Dunford will screen on Friday 19th October with director, Hugh O’Conor in attendance. The festival will host the Irish Premiere of 2018 SXSW grand jury prize winning feature film Thunder Road from Jim Cummings. The Discovery Feature programme presents No Party for Billy Burnsand Around Here. There are screenings of award winning documentary films, When All is Ruin Once Againand The Man Who Wanted To Fly while the festival features a 100th anniversary screening of 1918 silent film, Knocknagow with live music accompaniment. Romanian feature film Hawaiibrings a story of 1980’s Romania to the big screen while documentary Keepers of the Port looks at Dublin Port and those who work there. Kerry feature films Traditionand Conscreen on opening night and closing night respectively. 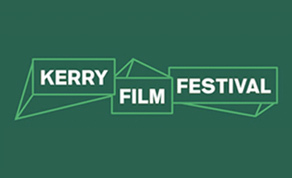 The Kerry Film festival runs from October 17th-21st in Killarney.